Water is a challenging resource to manage for many reasons, including legal challenges for water rights, changing weather and uncertain supplies, difficulties in measuring consumption, gauging its value and role in natural systems, and the costs and constraints of storing and moving it. 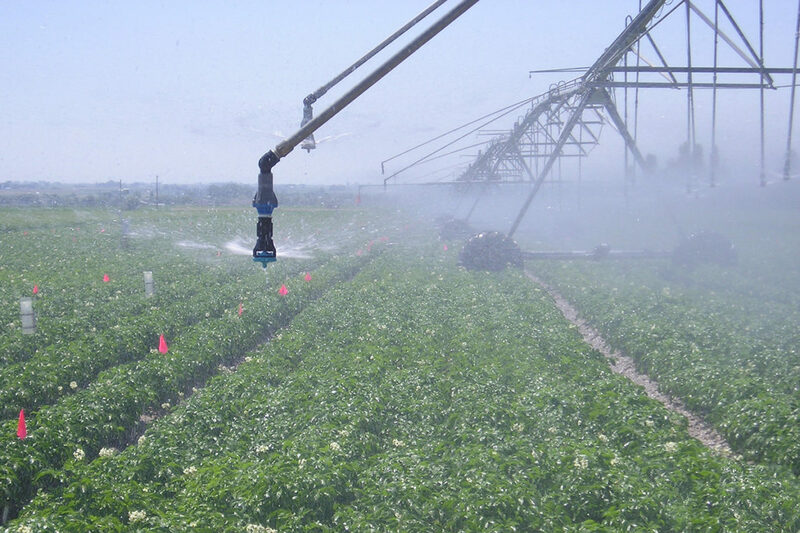 Different crops and water uses, such as potatoes, tree fruit and irrigation for livestock pasture, have different values that can change seasonally or over time, affecting the demand for water. This summer, Yoder and a national, multidisciplinary team of researchers begin a five‑year effort to smooth water’s flow, supported by a $5 million grant from the USDA Agriculture and Food Research Initiative’s Water for Food Production Systems Challenge Area. These programs will join forces with scientists at the University of Idaho, University of Washington, Kansas State University, University of Utah, Mammoth Trading, Aspect Consulting, and a diverse group of water users and stakeholders. The team will test new technology and practices that can help water flow to high‑valued uses by improving information and opportunities to use water efficiently — ultimately helping farmers grow more with less water, and making more water available for people, fish and river flows. 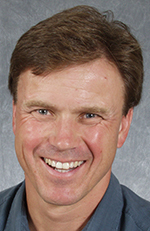 “Our project will help find ways to improve water use efficiency in agriculture, by focusing on how technology, water rights and regulation work together to make the most of available water for all of its social and environmental values,” said Yoder, lead investigator for the project, and an affiliate with the Paul G. Allen School for Global Animal Health. “We’re developing three new technologies that will help improve water use efficiency across a wide range of uses,” he added. The first, smart market technology, will facilitate water-rights transactions, making them work better, quicker and easier. “Smart market technology could help water users more easily trade water with less impact on stream flows and fellow water users,” Yoder said. Another new technology, seasonal forecasting of water availability, crop water demands, and crop productivity, could provide more precise and timely information to support water market decisions. Finally, researchers will pilot a satellite-based automated monitoring technique called METRIC in Washington state. Short for “Mapping EvapoTranspiration at high Resolution and Internalized Calibration,” this technique uses satellite imagery to measure water consumption by agriculture or other water consumers. With the grant, researchers will help perfect this system, giving water resource managers a clearer picture of agricultural water use, and ultimately, residential use as well. The technologies examined in the project will be tested in three regions of the Columbia River basin — the Yakima, Okanogan and Walla Walla watersheds. Along with new technology, the project will identify promising changes in law, legislative and administrative rules, contracts and norms to promote water efficiencies. More information on the project, including all faculty involved, can be found on the State of Washington Water Research Center website.